Your wedding photos will be one of the few solid mementos from your wedding day and you will want them to be fabulous! Baring this in mind it’s important to do your research and have a clear idea of what you want when discussing your ideas with your photographer. There are a few styles of photography to choose from; reportage, traditional and contemporary wedding photography – so let’s take a look at the options to work out which style will best suit your wedding theme. 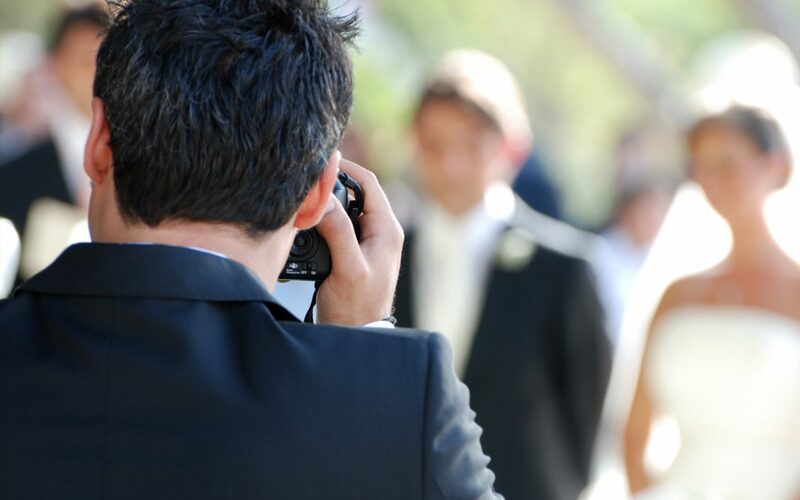 Reportage also known as documentary or journalistic photography, is a new style of wedding photography that has become very popular in the last couple of years. This is a more relaxed, unobtrusive style of photography with very natural shots that will capture the special moments and genuine emotion of your big day. This is perfect for you if you want to spend more time making memories with your guests than posing for photos. Traditional photography produces the classic wedding photo that most of us are familiar with. Also known as posed, conventional or classic photography, this style focuses on posed shots of the couple and the wedding party at large. It involves a lot of direction from the photographer and time from the guests and will suit if you are looking for a classic, more formal type of photograph. The posed nature gives a less emotional shot but a skilled photographer will be able to create beautiful, timeless photographs of your special day. Contemporary wedding photography takes its inspiration from fashion photography. This artistic style of photography does have some posed shots but they are more relaxed with the photographer using exciting lighting, angles and scenery. This style of photography can lose some of the personality and emotion of the day but a photographer with a good eye and imagination will produce stunning photographs for your wedding album. Whichever style you choose will give you beautiful photographs to cherish for ever. Have fun planning your ideas and when the time’s right I’m here to help you with your wedding photography. For more information you can contact me – Shawn Whitehead on 0116 444 3000. Email: smile@shawnwhiteheadphotography.co.uk or complete the form on Contact page.